WSOP.com is the only legally regulated online poker site with the backing of Caesars Interactive Entertainment (CIE) and the famed World Series of Poker brand. 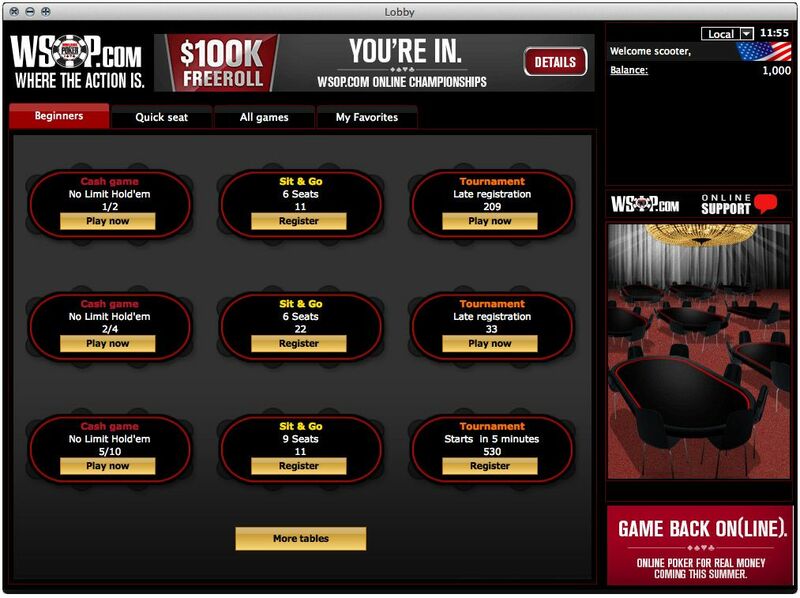 WSOP.com is the only online poker site where players can win direct entry into live WSOP events. 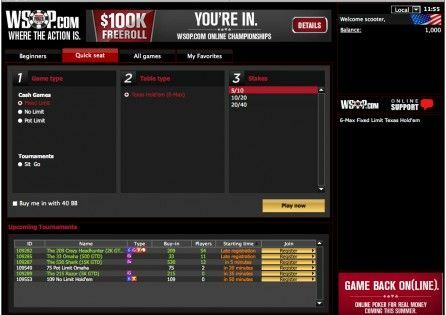 All players who sign up to WSOP.com via PokerNews can do safe in the knowledge they’ll be handsomely rewarded when they come to make their first deposit. Your first deposit is matched 100% up to a maximum of $400, but only your first deposit so make sure that you deposit as much as your bankroll allows in order to extract maximum value from the promotion. You must then earn 100 Action Player Points (APPs) for each $10 of bonus and once this total is reached $10 is transferred from your bonus account to your actual account balance. You have 60-days from the time the bonus is awarded to release the full bonus amount or any unreleased bonus is forfeited. All WSOP Nevada players are invited to play in a $100 freeroll that runs every day at 6:45 p.m. PST. These nine-handed tournaments see players sit with 2,000 chips, play to 10-minute blinds starting at 10/20 and see 20% of the entrants walk away with prize money. These are a great way to start a bankroll with or give a boost to your bankroll so play as many as you can. WSOP.com is the official online poker site of the World Series of Poker, one of the biggest and most trusted brands in the poker world. It uses the tried and tested 888poker software and when playing at WSOP.com from the United Kingdom and throughout Europe, WSOP.com shares traffic with 888poker. This means there is plenty of cash game traffic and a wide selection of sit-n-go and multi-table tournament to choose from 24 hours per day. 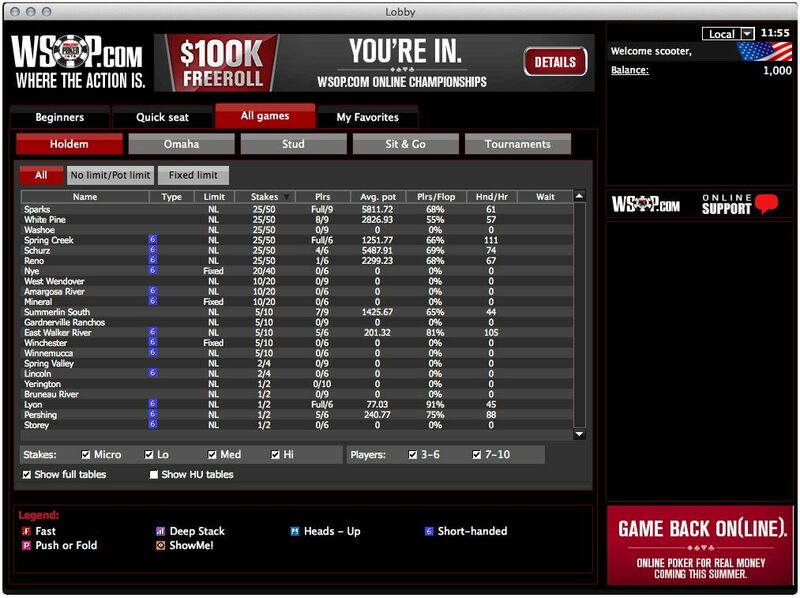 Depositing and withdrawing from WSOP.com is easy and quick with a large number of options to choose from. Throw into the mix a 100% up to $400 first deposit bonus, a VIP scheme can see you achieve the acclaimed Seven Stars status at Caesars properties, cashback and the chance to satellite into World Series of Poker events, and you will see how WSOP.com should have everything you would require from an online poker site. 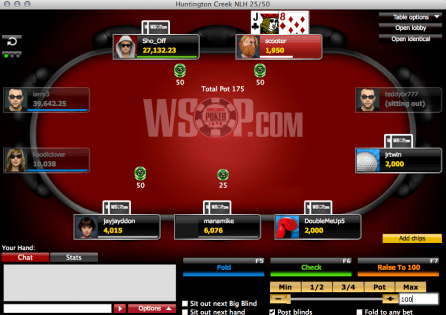 WSOP.com's software is state-of-the-art and, as a result, offers many splendid features. From preferred seating to auto top-up, auto rebuy and many more besides, the 888poker-powered WSOP.com software is packed with features to make your time at the tables as enjoyable as humanly possible. 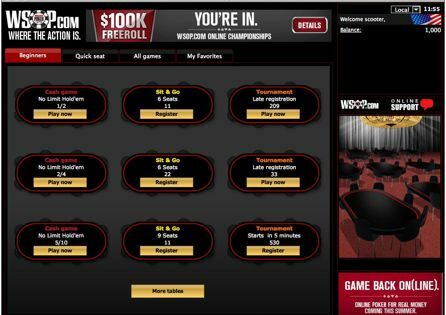 As you would expect from one of the most trusted brands in poker, there are a number of options to you should you need assistance with anything to do with your WSOP.com account. Support can be contacted via email (all replies should be within 72 hours), via telephone or through the extensive Q&A page that has a plethora of information at your fingertips.